This weekend an estimated 30,000 people will gather at the Del Mar Racetrack and Fairgrounds for KAABOO, a major new music festival that is being marketed as Coachella for adults. It features headliners such as the Killers, the Zac Brown Band, No Doubt and Snoop Dogg. KAABOO includes features unlike most festivals, such as bourbon, wine, and tequila tasting rooms, a comedy tent, art exhibits, chef-prepared food, and toilets with running water. The festival calls itself a curated “adult escape” and “new kind of arts and entertainment ‘mix-perience’ designed around comfort, quality, and good times.” And if all goes well, KAABOO will likely change the burgeoning landscape of music festivals, helping to create a new market for a mass music experience, blessedly lacking a single second spent inside a porta potty. The chain of events that would coalesce into KAABOO began with an 11-year-old kid in Louisville, Kentucky, hearing an obscenity sung louder than he knew any sound could be and falling into a musical trance that would henceforth guide his life. It was October 3, 1989, and Adam Spriggs had somehow talked his mother into taking him to Bon Jovi’s “New Jersey” tour, which also featured Skid Row. A year later at a concert on the other side of the country, 26-year-old Roger Leblanc had a similar epiphany. Leblanc, a native of Saint John, New Brunswick, Canada, grew up playing guitar and singing and eventually worked briefly as a gigging musician. But on this night in 1990, he was standing in the shadows of the stage at the Ventura Theater, looking out at an audience of 1,200 people enraptured by a show he’d booked. He was new to the booking business, and — after a subsequent quarter century career in which he has booked somewhere in the neighborhood of 15,000 shows — he can’t even recall the band who was playing that night. But Leblanc knew he’d found his calling. KAABOO, which begins Friday and runs through Sunday, has been built with the intention of creating many more such music-empowered moments. The festival features seven stages and 100 bands. It is the brainchild of Bryan Gordon, a self-described “serial entrepreneur” who has launched endeavors in several fields, ranging from hotels to the wine business to commercial real estate and the oil and gas industry. KAABOO is his very first foray into music organizing. But like Spriggs and Leblanc and most of the artists who will be on stage, Gordon fell under music’s sway as a child. It happened in 1971. He was nine years old and attending his first concert, the Allman Brothers at the Capitol Theater in Passaic, New Jersey. Live music has become increasingly vital. The music industry has been going through a period of disruption since the advent of digitally available music. Recorded music sales plummeted by 50 percent from 1999 to 2009. But during that same period, live concerts sales filled the gap. Live music revenue increased from $1.5 billion to $4.6 billion in the U.S. During the economic recession, growth leveled off, but jumped again by 26 percent from 2013 to 2014, from $5.1 billion to $6.2 billion, according to Pollstar. Billboard magazine estimated live music globally reached a record $20 billion in revenues in 2014. Festivals have been a key component of this growth. Pollstar counts more than 1,500 festivals worldwide. Such fests as Napa Valley’s Bottle Rocket, which features fine wines and food, and KAABOO are indicative of a trend. Thus was born KAABOO. Gordon made inquiries around the music industry and repeatedly was referred to Leblanc and Spriggs. Their talent buying agency has become the little mouse that roared. In an industry dominated by giants such as Live Nation, AEG, and Nederlander, their little firm, Madison, was named Talent Buyers of the Year by the annual Pollstar awards at the Ryman Theater in Nashville in February. KAABOO is the biggest undertaking yet for all involved. Music booking is rife with stress — hundreds of details need to be aligned for any concert to be successful, from the transportation to marketing to sound to the food in the green room and the abrupt and often shifting demands of both artists and fans and the uncertain financial outcome of the whole ungainly equation. All this is mediated by the booker in the background. A single day of rain can wipe out two years of planning and several million dollars of investment. Spriggs, who just finished booking and running the Hermosa Beach Summer Concerts with Saint Rocke owner Allen Sanford, is trying to do what music has taught him to do: stay in the moment. And in a larger sense, that is KAABOO, a word that the festival’s organizers made up (there was tequila and a late night fire involved) but one that has meaning — living in the moment, through music, and in music. Spriggs’ road to KAABOO may have begun at age 11 with exposure to a thunderous F-bomb and a flying Bon Jovi, but a key detour occurred a little more than decade later when, as a fresh graduate from Syracuse University’s film school, he found himself in Hollywood as a contestant on a gameshow. The show was called Smush and his successful answer was Mutahjazzyjeffersondaviscupohstriad. The object was to “smush” answers together and his six questions involved the names of the remote control “sound off” button and and Karl Malone’s NBA team, the identities of Will Smith’s DJ partner and the Confederacy’s leader, and what you call the stuff that wraps around furniture and the capital of Saudi Arabia. The money Spriggs won allowed him to devote himself to finding a foothold in the music industry. He’d arrived in Hollywood a year earlier and worked as a production assistant. Now he made a conscious decision: his future would be in music, not film. He took low paying jobs just to be near music and learned lessons he’d never forget. His first job was with MTV. He did a lot of music industry gigs. He loaded trucks at the Wiltern Theater. He got sushi for Britney Spears after shows. He met Poison. He met Wayne Coyne from the Flaming Lips. All along, he kept falling more in love with it. He kept thinking to himself, I’m getting paid to do this? But he also realized he wanted more. His girlfriend and future wife, Carrie, was working as an assistant for Leblanc, who at the time was booking the Key Club on Sunset Strip in Hollywood. He needed someone to help with the Coach House in San Juan Capistrano and the Galaxy Theater in Santa Ana. She suggested Leblanc talk to her boyfriend. Leblanc finally did talk to Spriggs. “I absolutely fell in love with him,” he recalled. He also stood back in amazement as Spriggs drove from Hollywood to Orange County every day for next to nothing, throwing himself fully into the booking business. He rose quickly from assistant to Leblanc’s partner. What started at the Coach House 13 years later has culminated in KAABOO. And as the booking agency Leblanc founded has grown in reach and reputation — booking seven clubs from California to Nashville, several small festivals, various and sundry corporate and private events — Spriggs has remained its musical beating heart. Spriggs doesn’t just go to his own shows. He and Carrie hit nearly every big show that passes through LA, especially his abiding passions, such as Springsteen, U2, and Pearl Jam. 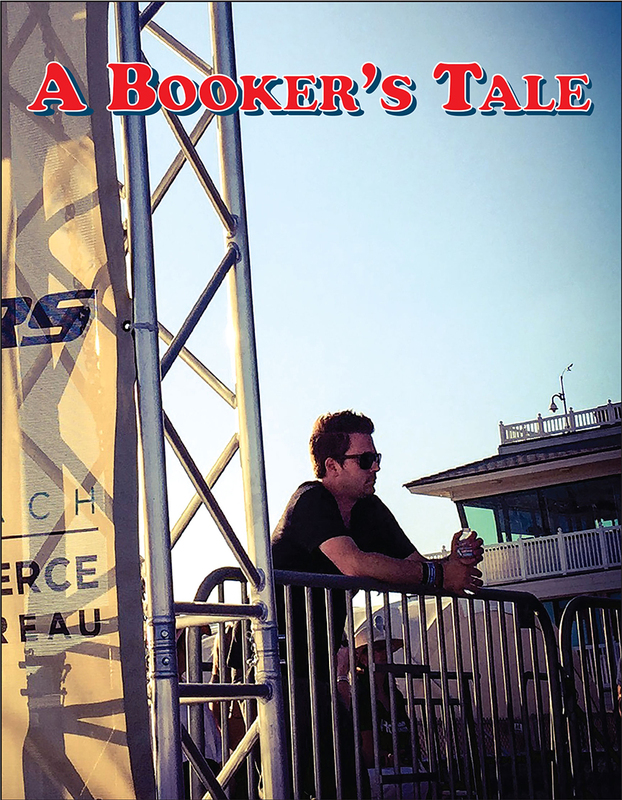 And there are some bands he has championed since his very beginnings as a booker — particularly the Old 97s and its lead singer, Rhett Miller, who was first brought to Orange County, at the Galaxy, through Spriggs (as were The Killers). To witness Spriggs at one of these shows is to catch a glimpse of the 11-year-old kid at the Bon Jovi concert in Louisville. He bounces. He sings. He fist pumps. He might even tear up with emotion occasionally. Leblanc said that this is a rare thing in the business, where years of ups and downs and glimpses behind the curtains often takes the music fan out of the music booker. It was something Gordon picked up on quickly. Spriggs did have a brush with darkness. In 2008, he and Leblanc became part owners in a music venue at the Redondo Beach pier called Brixton, which was owned by an old friend of Leblanc’s, Dennis Needleman. The subterranean spot at the foot of the pier seemed ripe for a music club. Needleman came from a successful background in commercial real estate who’d been lured into the club business by another operator. Leblanc and Spriggs tried to help him revive what had quickly become a financial sinkhole. They booked music more ambitiously than anyone had done in Redondo Beach since the heyday of such clubs as Sweetwater and The Strand more than three decades ago. Some of the great shows in recent South Bay history occurred there — including impromptu appearances by Prince and Stevie Wonder. But the pier location just didn’t draw people, and it nearly killed Spriggs. At the time, he also developed, if not quite an enmity, then a fierce rivalry with another new club nearby, Saint Rocke in Hermosa Beach. Owner Allen Sanford had determined that the Beach Cities could not sustain two such similar clubs — it drove up the cost of obtaining talent, Sanford said — and it became a fight to the death. Saint Rocke won. Brixton folded. But in the end, Sanford recognized that Leblanc and Spriggs could be of help to Saint Rocke. He hired them to book the club, and eventually, the Hermosa Beach Summer Concerts. Still, for almost two years, he and Carrie wouldn’t even ride by the Redondo pier. Rhett Miller has nearly given up several times in the course of a 25 year career in the music business. 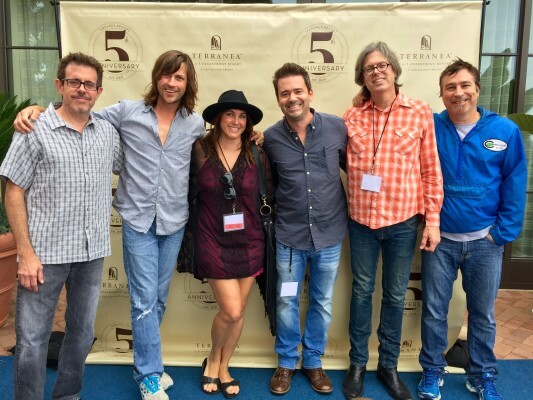 He’s the lead singer for the Old 97s, and though the band has had its share of success, it’s also never quite reached the mainstream and reaped its financial rewards. They’ve continued on grit and love alone on a long musical journey that has circled the world several times over. One friendly face at the bend of the road for a long time now has been Spriggs, who first met Miller at a merch table as a fan long ago in Hollywood and still remembers that Miller remarked on the coolness of his shirt. 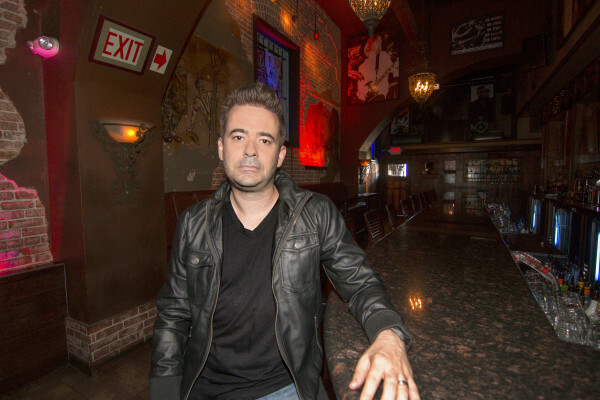 Eventually Spriggs championed the Old 97s, and particularly Miller’s solo work, bringing him to Brixton and later to Saint Rocke and Terranea. Over the years, the two developed a friendship, and occasionally had heart to heart talks about whether to continue in the music business. The KAABOO booking began a year ago in June and didn’t wrap up until January. One of the first calls Spriggs made was to Miller. “F*** yeah, you are,” Miller said. Sometime late Saturday afternoon, Spriggs will clear away his responsibilities for an hour, and he’ll arrive at the Old 97s’ stage. His mother, Donna Hall, who began this musical journey with him (and who he stopped attending concerts with for a few years after she napped at a Pearl Jam show) will be back by his side. His wife Carrie will dance alongside him. Rhett Miller will at some point climb atop a speaker cabinet and do his famous stage leap during the song “Timebomb” — something he’s been doing for 20 years, despite a few misses and a few sprained knees. Spriggs will be singing at the top of his lungs, and several thousand people will be singing along. For more information on KAABOO, see KaabooDelMar.com.